Somali men have become like female like. Now, hear me out before you call me a misogynist, sexist or anti women. What I mean by this is lately i have been hear and see alot of Somali men on conference call/paltalk/qalka etc whatever they call it. They chit chat it these married and unmarried women for hours and hours. You might say what is wrong with that, they are having fun, it's there life etc. And you are correct. It's their life and there is nothing wrong with a person trying to killed bored. But if this becomes the norm of all Somali men on these types of lines/calls mostly talking about sexaul and other dirty talks and some politics etc than what will the future for Somalis look like? Who are the future of Somalis and Somalia? ILHAN OMAR WINS!! FIRST BLACK SOMALI/LANDER/ MUSLIM/IMMIGRANT IN CONGRESS! Why are black always behind? Two years ago, when President Trump was still on the campaign trail, he told an audience during a rally at Minneapolis-St. Paul International Airport that Minnesota had “suffered enough” at the hands of Somali immigrants, who began moving there as refugees in the early 1990s. He told the crowd that “large numbers of Somali refugees [are] coming into your state without your knowledge, without your support or approval, and with some of them then joining ISIS and spreading their extremist views all over our country and all over the world.” (ISIS is an alternative acronym for the Islamic State militant group.) Trump’s assertion was met with confusion and anger in some parts of Minnesota, where tens of thousands of Somali refugees were relocated from their Horn of Africa homeland after its government collapsed in 1991 and civil war broke out. And on Tuesday, one of those refugees won a seat in Congress. Ilhan Omar took home 78 percent of the vote in Minnesota’s 5th Congressional District, becoming the first Somali American, first Muslim refugee and first hijab-wearing Muslim woman elected to the U.S. House of Representatives. She also became the first woman of color to represent Minnesota in Congress. “When people were selling the politics of fear and division and destruction, we were talking about hope. We were talking about the politics of joy,” Omar said in her victory speech. Omar already knew what it meant to be a “first.” In 2016, she was elected to the Minnesota House of Representatives, which made her the first Somali American in history to be elected a legislator in the United States. Omar’s win “reinforces the idea that all is possible in America,” said Cawo Abdi, a professor of sociology at the University of Minnesota. It also repudiates Trump’s efforts to use the Somali community “to show the failure of the immigration system,” Abdi said. Omar, 36, was born in Somalia but fled with her family to Kenya as a refugee when she was 8. They lived in a refugee camp for four years before being resettled in Minneapolis in 1997. Her campaign website says she became interested in politics at age 14, when she would interpret for her grandfather at local caucuses. In recent years, a small number of Minnesotans either joined the Islamic State or were caught conspiring to do so. But Omar’s win has the potential to change the way the community is viewed by outsiders, Abdi said. “The rhetoric of exclusion really can be undermined by having these types of stories and these types of successes,” she said. “There has been an extreme level of scrutiny, and the community is really feeling under siege,” Abdi said. “This type of thing is something really positive.” Duchess Harris, a professor of American studies at Macalester College in St. Paul, Minn., and author of “Black Feminist Politics from Kennedy to Trump,” said Omar’s win is “a tremendous success for the people of the 5th District.” The area Omar will represent “has changed so drastically in the last 30 years that you know she clearly reflects a voice and a sentiment for the community,” Harris said. “This is a win for all Americans because we are a country that espouses freedom of religion, and I think for people to see someone who wears a hijab on the congressional floor is an important symbol for that fact." Although many Somalis and other minorities are happy for Omar, many white Trump supports are mad. what do you think about Omar story? does it help Somalis image? what about Islam? Do you really think there will be any difference about how others view Somalis? After all who care about what others think about us, we are our worst enemies(BLACKS). Sad thing to say but this is the truth. Somalis are killing each other. Blacks, african americans are too busy killing each other, latins are too busy killing each other, meanwhile white man is over there getting rich. real talk! why are they against peace in the middle east? Waar ninyoow waya its a famous line from Macbeth ...lady Macbeth - Act 3 scene 2 theres no changing the past so get over it she try's to treat his hallucinations and she says these lines to her husband in an effort to make him get over it after experiencing Duncan's murder. I don't know about all this new voodoo of sending voodoo over text but Sixir in the South goes way back in the days and this is no secret. The most Ethiopian corrupt military officer who is called Haile Gabre known by Somalis as “General Gabre” becoming extremely wealthy from the huge sums of money that he is getting from opportunistic Somali politicians who want to buy the sympathy of Addis Ababa, one of his juniors told Waagacusub anonymously. “Atto Gabre was corrupted by Somali politicians and he also then corrupted Ethiopian senior officials so they will condone his wrong doing,” the officer who could not give his name afraid of reprisals said. “There was several vehicles that were taken from somali individuals by intimidation or corruption which were later donated by Gabre to most senior military officials and their family members,” he said. Gabre had a business interest in United Arab Emirates in which he is represented by one of cousins The business is to give a better exchange rate of foreign currency for Ethiopians who want to import goods to landlocked and hugely populated Ethiopia. “Recently large construction equipment owned by Gabre were sent to Ethiopia on a duty free from Dubai through port of Djibouti,” an Ethiopian business man based in Djibouti said. “All the materials belonged to Gabre but his name can’t be seen on the manifest,” he said. Gabre’s most income generation is from Somali politicians who want to use his country’s support in order to come to power. He also gets money from the funds donated by the west for the regional East African body known as IGAD, he is suppose to be a facilitator for Somalia so called peace process. The Ethiopian traitor started his murky business in very early 90 in Bay and Bakol region by selling small arms to rival warring factions in southern Somalia but he became principal corruption boss after 2002 when the major Somalia talks in Kenya started. There is a famous Mogadishu saying “if you want the power in Somalia first corrupt Gabre and enjoy the military and political backing of Ethiopia.” Gabre is from the Tigre tribe which is ruling the country since 1992. Most of his dark business is well known by many Ethiopians but no one dare to say a word of that as most of national secret service agents are from his compatriots of Tigre Liberation Front (TPLF). The continuation of violence in Somalia is us a surviving kit for Gabre and few other African corrupt officials, but he is the most ruthless money monger in that sector. Key points 1. Conflicting narratives , Somaliland wants independence and Somalia wants to restore Somali constitution of 1960 and secession is not negotiable or attainable, where is room for negotiation ? 2. Western Corporate interests have fast tracked recognition Somali Federal Independence 2013 despite democratic deficit, weak institutions, no functioning armed forces in full capacity 3. Oil and Gas deals in a vacuum of democratic deficit with weak public institutions in Somalia mainly confined to Mogadishu are likely to further fuel civil strife and hinder national reconciliation Have you noticed how Somalia Somaliland talks which were initiated following 2012 Somalia mediation conference have faltered in stalemate and are prone to break down? Amidst blame game; between Somali federal Government and Somaliland regime. At one point discussions collapsed because Somaliland Officials refused to dialogue with Somaliland citizens who had realigned themselves with Somalia. If the mirror debates in the Somali media are to be believed; then we have a major problem stemming from a Democratic deficit in that Somali federal Government and and Somaliland are both pursuing diametrically opposing perspectives with no compromise or half way point for them to negotiate peacefully and both are lacking legimitae democratioc mandate which should resolve dispute democratically and neither is contemplating a referendum. 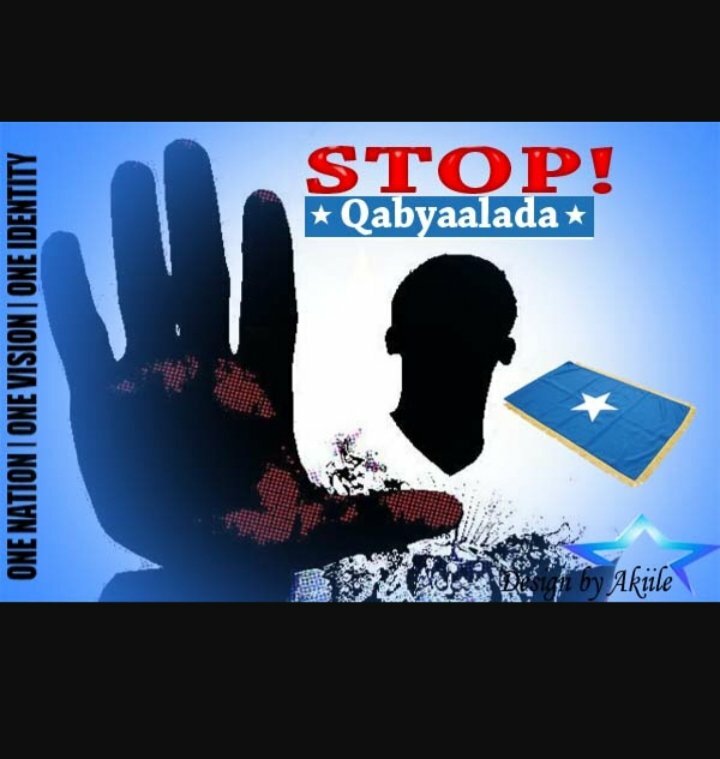 In addition, recognition of federal government has occurred against a background in which large populations of Somalia remain outside as Somali refugees; with additional refugees continuing to depart daily as we speak; even after 2012 following recognition of the Somali federal Government. Abdirahman Mohamed Diriye argues that Somalia and Somaliland Talks are road to nowhere and his reasons for pessimism are ; that Somaliland wants independence and exit from Somalia’s “quagmire”. Unlike South and North Sudans which agreed on Comprehensive Peace Agreement (CPA), which led the separation, Somalia’s delegates participate without considering alternative options , independence is not neogiable and final outcome is not internationally binding”. Would a two state two party system be a good idea? Which means Somaliland have equal right to run for president for both states(North and South). Which flag should be recognized as the main flag of the United States of Somalia? So Somaliland is the real Somalia because they are in the best interest of Somalis? if this is the case why it is predominately one tribe in the sub-country and run by the one tribe? A Detailed Definition of High Culture versus Low-Culture in the Somali Context. This is dope bro! thanks for sharing this idea. America and the western cultural has different strong influence not somalia/somalis but the world as a whole. You are absolutely right about Somalis taking the ratchet part of the culture ex Nikko and making it basically Somali culture....Somali culture is more than just nikko and dhanto but this is what the westerners want to see and some somali are seeking fame...and to get this fame if they are told to jump they will say how high lol.... they love to show off and perform. we call these people sellouts. i live in the west and it feels like they will never truly accept you unless you take their culture and mix a little bit of your culture. they also want immigrants and blacks(african american) to be busy dancing ex shaking, twerking, and nikko....this is their fantasies than slowing they will influence the next generation to become models than stripper and down the dark road. may Allah swt protect us and our families. But like i was say this is exactly how they destoryed many culture for example african america culture is now nothing but twerking and ratchet dances smh. who Y'all think created this?